Corinth is not the man he used to be, and Larna is certainly not the woman she once was. Together, the two lifelong friends make a pair of opposites like no other. When Corinth finds himself with the dagger that inexplicably seems to grant him Sight, Larna begins to notice changes in Corinth that she isn’t sure she understands or likes. Larna, a newly-turned vampire and her best friend, Corinth, a Watcher, both feel an overwhelming sense of foreboding that has nothing to do with their mission to find and destroy Gabriel, the most vile of vampires. As they make their way through one life-threatening situation after another, Corinth and Larna tiptoe around more than one unspoken question in their relationship. There are plenty of readers who will pick up The Watchers: The Blood Dagger #2 by Misty Hayes and proclaim it, at first glance, to be nothing more than a take on the story told in the Twilight series. Do NOT be fooled. Misty Hayes has taken the age-old vampire tale to a whole new level! She goes far beyond the Twilight-type plot and leaves it in the dust helplessly spinning its wheels. 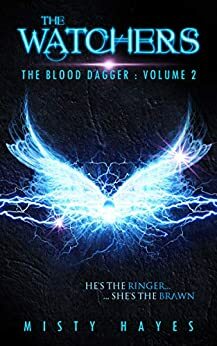 Once upon a time, I thought that entire series was the be-all end-all of vampire tales, but Misty Hayes’s Blood Dagger series is quickly bumping it from the coveted spot. I had the pleasure of reading The Outcasts: The Blood Dagger #1 and was enamored from the get-go. Hayes is a master at character development, and nowhere is that more apparent than in her descriptions of Corinth and Larna and their self-talk. The second guessing and self-examination the two do throughout the text allow readers a firsthand look at their fears and their apprehension as well as their own amazement at their growing powers. Reading The Outcasts prior to reading The Watchers is not a must, but it is most certainly a plus when examining the growth the two main characters exhibit. Hayes does a phenomenal job of making this a stand-alone novel that serves to fire up readers’ desire to hear the full backstory of Corinth, Larna, and the feared Gabriel. Hayes’s books are filled with humor. For as breathtakingly full of action as they are, they are equally as humorous. Hayes peppers her work with quips and one-liners, giving a fantastic depth to each of her characters. Readers will fall in love with Corinth and Larna if for nothing else than their ability to find humor in the most dire of circumstances. Not to be overshadowed by the light hearted and whimsical, the dark and brooding element is definitely present in Hayes’s characters. In The Watchers, Corinth undergoes quite the transformation and is in the midst of examining his lineage, both of which are giving him pause. As Larna struggles to understand her friend’s trials, she cannot fully delve into his issues due to her own intense physical training and the division she feels between her love interest, Alastair, and Corinth himself. Hayes writes romantic scenarios in the most tasteful and thoughtful ways. The Watchers: The Blood Dagger #2, though billed more as young adult fiction, appeals to fans of vampire tales as well as fantasies. 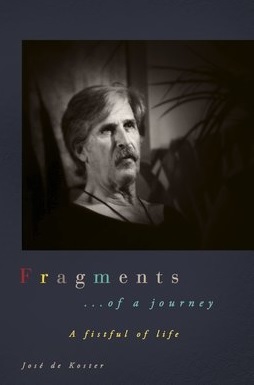 Hayes’s work fits neatly into a variety of age ranges and genres beginning, but certainly not limited to, young adult. Hayes’s work is, hands down, some of the most striking to hit shelves in the last decade. There are no characters out there like Corinth and Larna, and Hayes’s style of writing in alternating perspectives helps give rise to the inevitable success of The Blood Dagger series. I’m waiting with bated breath for book 3! Posted on December 31, 2018, in Book Reviews, Five Stars and tagged alibris, author, author life, authors, barnes and noble, book, book club, book geek, book lover, bookaholic, bookbaby, bookblogger, bookbub, bookhaul, bookhub, bookish, bookreads, books of instagram, booksbooksbooks, bookshelf, bookstagram, bookstagramer, bookwitty, bookworks, bookworm, ebook, fantasy, fiction, goodreads, ilovebooks, indiebooks, kindle, kobo, literature, love, love story, misty hayes, nook, novel, occult, paranormal, publishing, read, reader, reading, romance, science fiction, scifi, shelfari, smashwords, story, supernatural, teen fantasy, teen romance, the blood dagger, The Watchers, twilight, urban, urban fantasy, vampire, writer, writer community, writing, YA, young adult. Bookmark the permalink. Leave a comment.